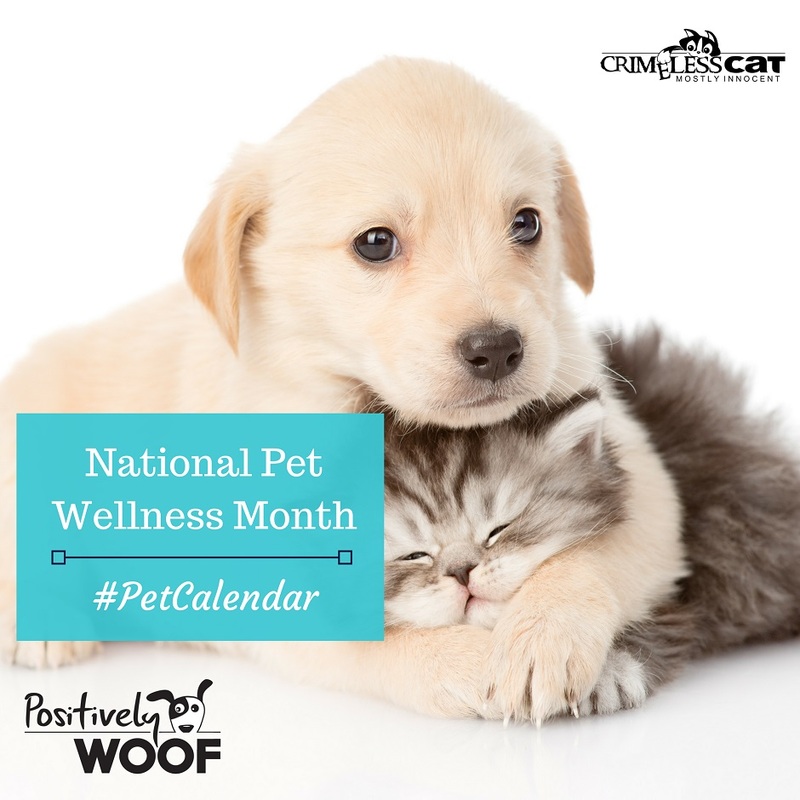 Pet Calendar: National Pet Wellness Month, named by the American Veterinary Medical Association, is a time when pet parents should stop, check their pets and pay a visit to their veterinarian if necessary. Did you know: According to the AVMA cats are half as likely to see regularly see a veterinarian as dogs. 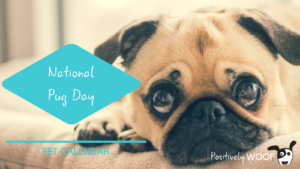 What can you do to keep your pet healthy this month, and year-round? We have rounded up some tips. Make certain your pet has regular veterinarian visits — at least an annual check-up is necessary for your vet to assure your pet is healthy. Remember, it is instinctual for a pet to “hide” an illness; this is especially true in cats. Without a veterinary exam, you simply won’t know if your pet is healthy. 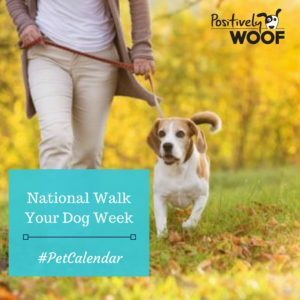 Take your dog for walks. It’s great for his health and yours! Play with your cats to assure they are entertained and active. Feed your pets — whether furred, finned or feathered — a healthy diet. Avoid table scraps and “people food” unless your pet loves fruits and vegetables, then those are an ideal training treat! Keep your pet’s collar on and her tag and your contact information up to date. If your pet is microchipped, make certain that your contact information on there is current. Keep your dog leashed to keep him safe when you’re on walks. Invest in puppy training. It will make a difference in the happy life you and your pet have together. Remember, if you’re adopting an older dog you can teach them new tricks; sign them up for training classes as well. If you have a senior pet, ask your vet if you need to change his diet or exercise routine. Don’t forget to clean your pet’s teeth. You can do this at home to keep tartar away. Your vet may recommend dental cleanings for a more thorough teeth cleaning. Enjoy your dogs, cats, ferrets, birds, reptiles, hedgehogs or whatever pet brightens your life. Keep them happy, healthy and well! 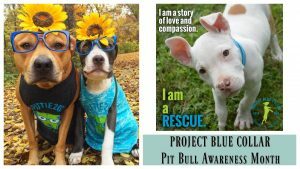 Read our October Pet Calendar. 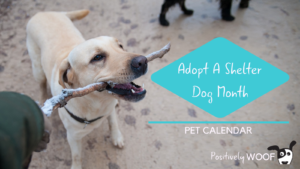 Plan your year with our Annual Pet Calendar.